The Social, Humanitarian and Cultural Affairs Commitee of the United Nations has narrowly voted to remove sexual orientation from a draft resolution against extrajudicial, summary or arbitrary executions. 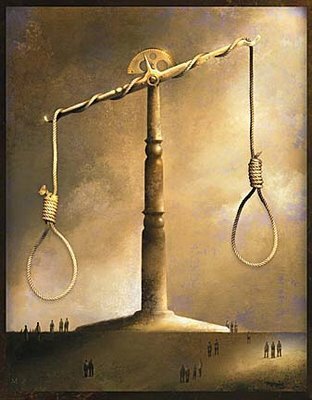 In light of the guarantee of the right to life, liberty and security of person in the Universal Declaration of Human Rights and the International Covenant on Civil and Political Rights, the resolution condemns all extrajudicial, summary or arbitrary executions and demands that all States take effective action to prevent, combat, investigate and eliminate such executions. The reference to sexual orientation had been included in the resolution since 1999, based on the repeated and express concern of the Special Rapporteur on Extrajudicial, Summary and Arbitrary Executions for lesbian, gay, bisexual and transgender people as victims of such crimes – a concern that persists in his most recent report [at paragraph 59]. Whilst the seemingly broader language of the amendment might, at first glance, appear motivated by a desire to be comprehensive, it is clear from the language of amendment’s proponents that the motivation was otherwise. No amendment was proposed to generalise the specific references in paragraph 6 (b) to killings targeted at racial, national, ethnic, religious or linguistic minorities; street children; human rights defenders including lawyers, journalists and demonstrators; refugees; migrants or indigenous people. Only the reference to sexual orientation was deleted. protection of lesbians, gays, bisexuals and transsexuals was important … It was important to point out that homophobic violence [is] a reality caused by law enforcement forces in many countries throughout the world … The number of people killed on the basis of sexual identity had reached new levels, which was a major concern for all”. In a recorded vote the Committee then approved the amendment to paragraph 6 by 79 votes in favour to 70 against and 17 abstaining. The draft resolution as amended, was then approved by a recorded vote of 165 in favour to 0 against, with 10 abstentions including the United States. It’s a step backwards and it’s extremely disappointing that some countries felt the need to remove the reference to sexual orientation, when sexual orientation is the very reason why so many people around the world have been subjected to violence”. The resolution is expected to be formally adopted by the UN General Assembly in December. Although the UN General Assembly lacks formal legislative authority and resolutions are generally held to be non-binding on member states, the International Court of Justice has considered such resolutions, whilst being recommendatory in nature, capable of having legal significance as being reflective of customary international law.